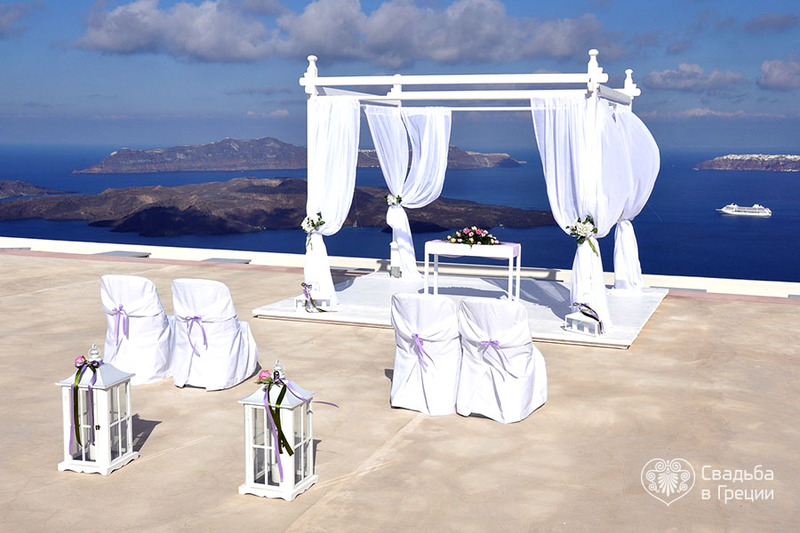 You are in love each other and dream of having the most fantastic and one and only romantic civil wedding ceremony in Santorini in Greece? 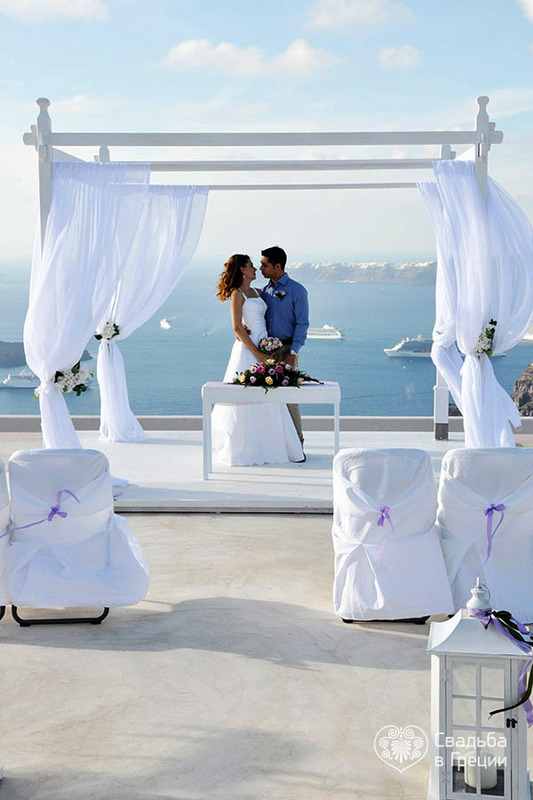 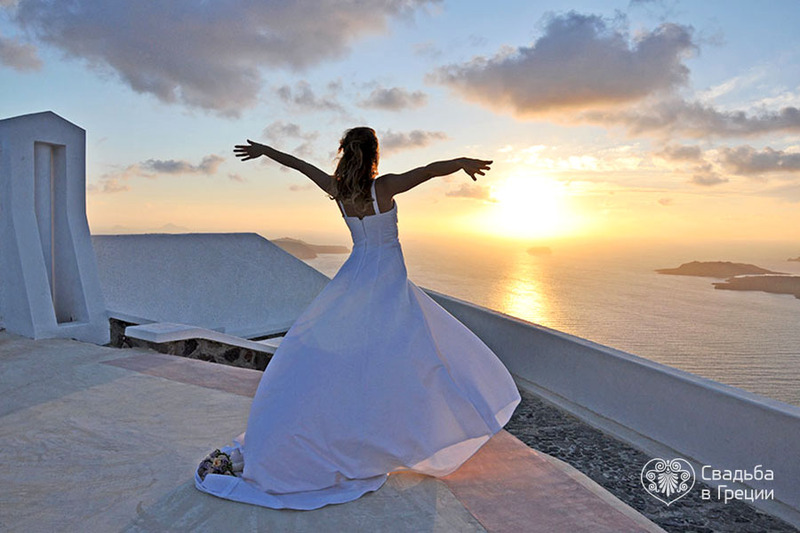 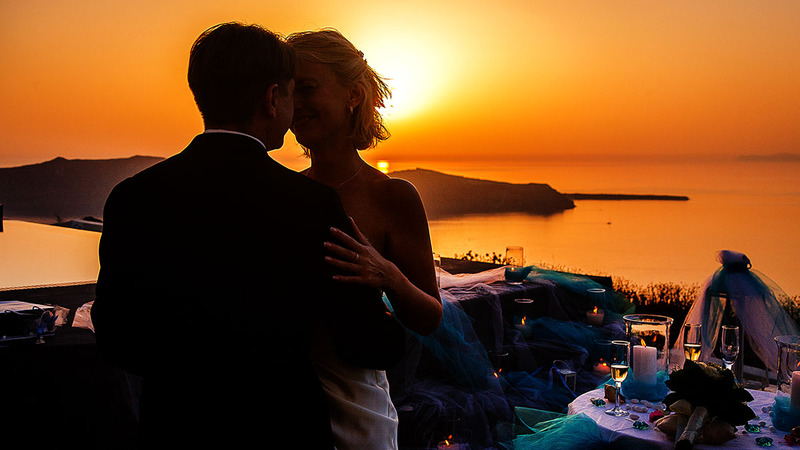 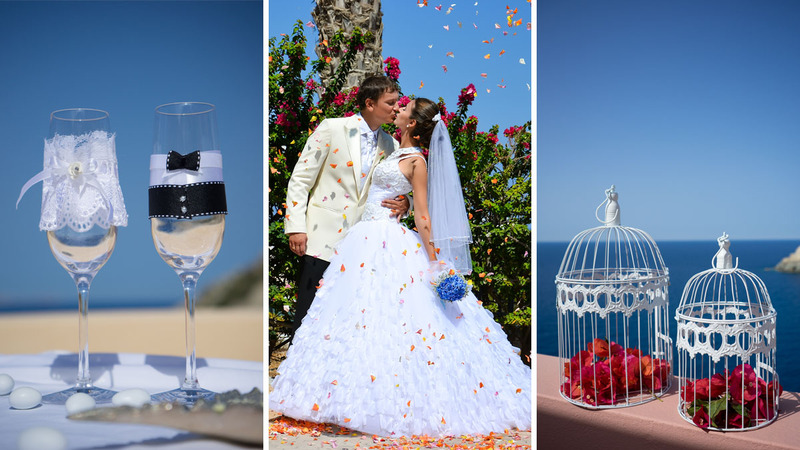 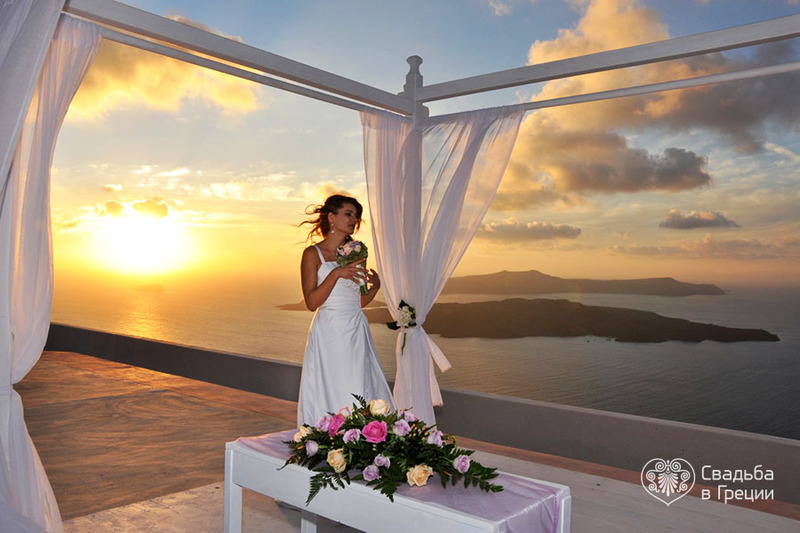 Then we are happy to offer you a unique wedding package, an exclusive wedding in Santorini Gem. 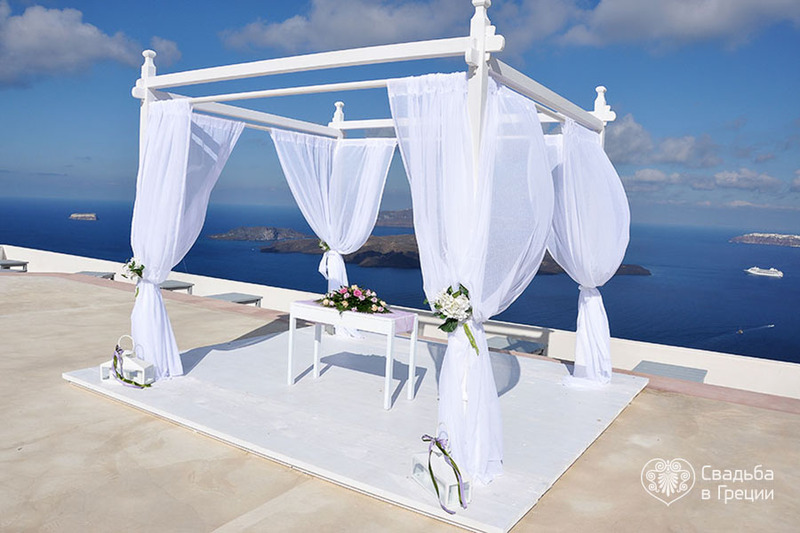 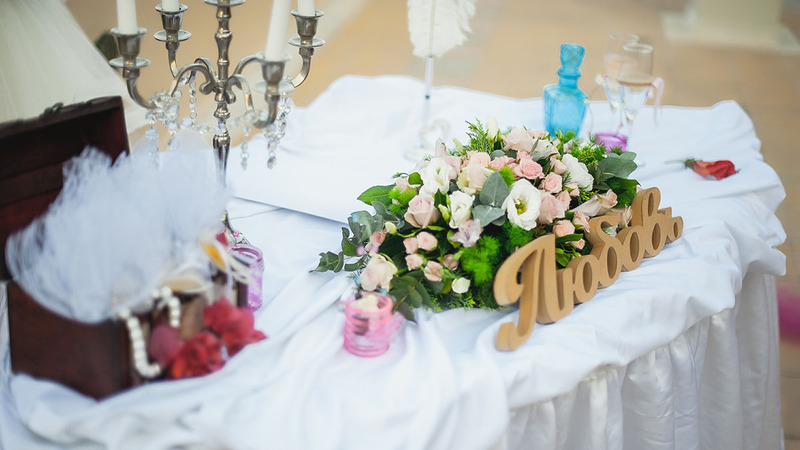 It is wonderful snow-white terrace with a gazebo and lovely tables, draperies and fresh flowers. 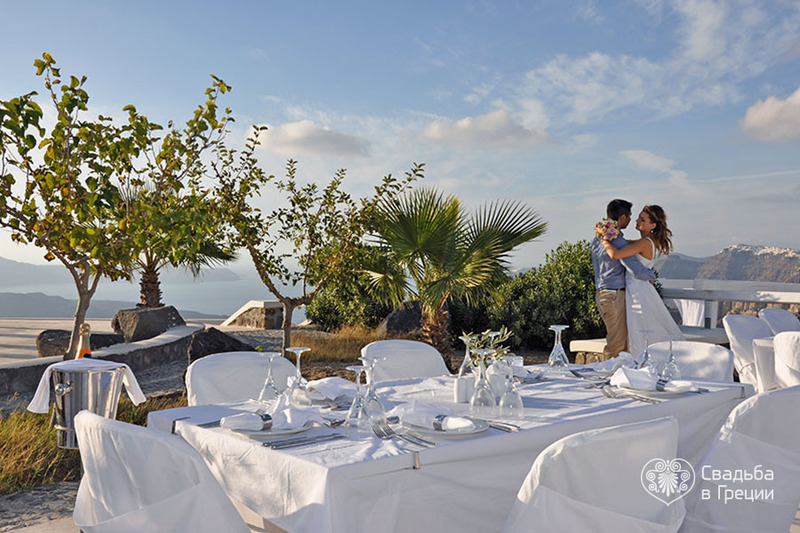 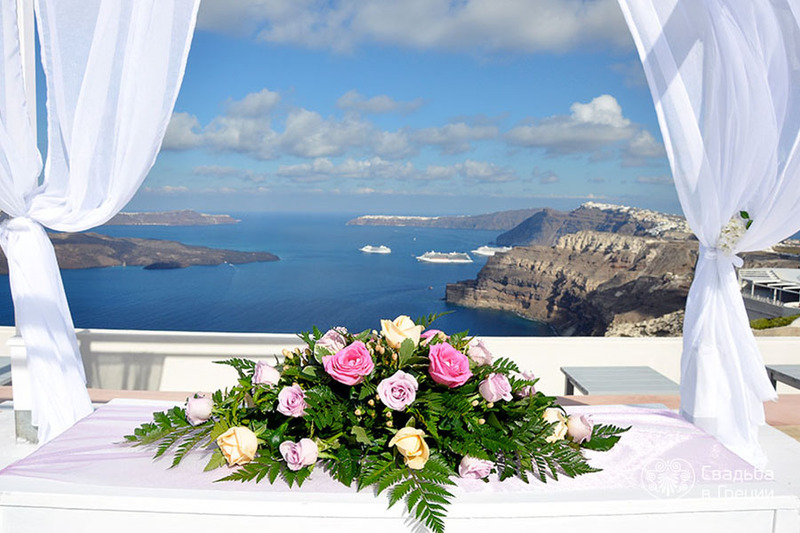 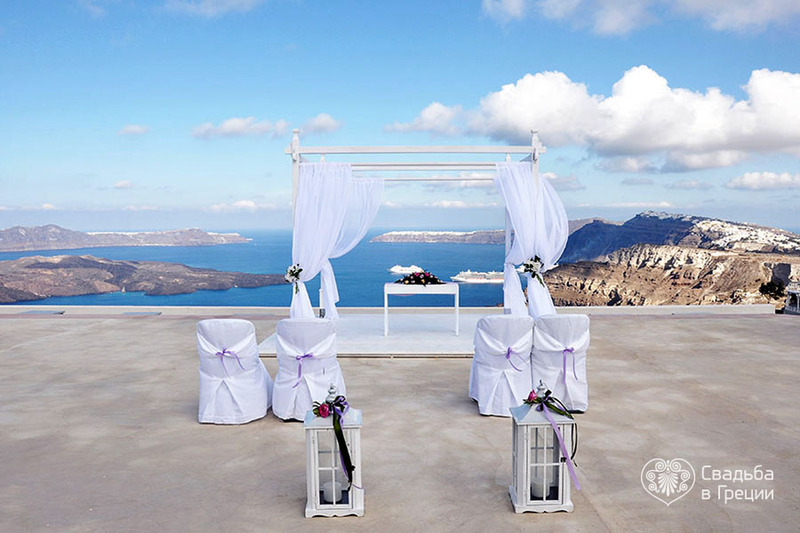 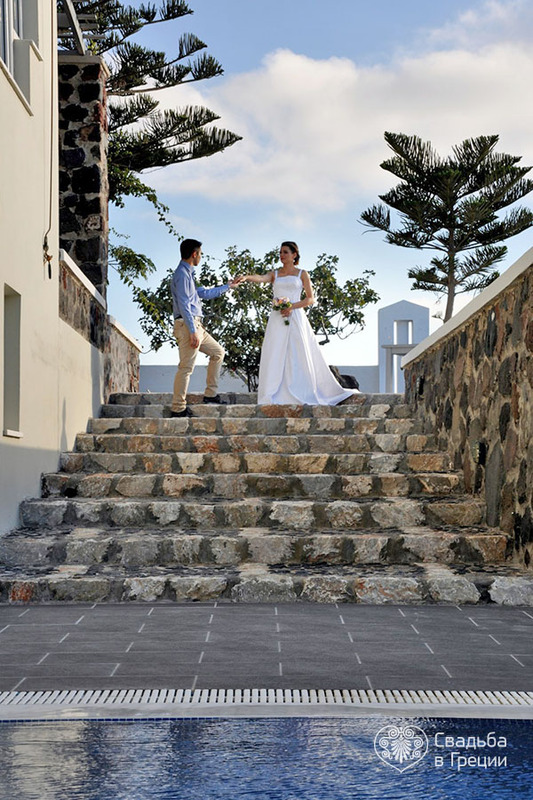 With this civil wedding package on Santorini in Greece you are getting not only sea of positive emotions, glorious feelings and unforgettable impressions, but also panoramic views of breathtaking beauty over caldera, volcano, villages, yachts and sunsets.